It was so cold so I put Zeta's bed by the fireplace. She cocooned herself in her blanket and looked so content. I just had to take a pic. 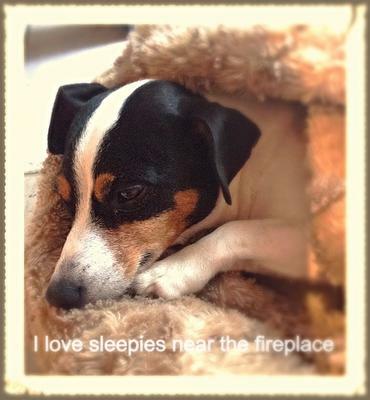 Nothing is better than a quiet and content sleeping Jack Russell. Zeta is just too cute all snuggled up!